Discovering gems from a brand you've never tried, or even heard of before, is always exciting. When a beautiful package from Bella Vi Cosmetics was kindly sent to me, I was eager to crack open all the goodies and give them a try. After a thorough road-testing, it's about time I let you know what I think of the makeup items I had the pleasure of sampling. Bella Vi Cosmetics are a cruelty-free, organic, mineral makeup and natural skincare brand from New Zealand. Their boutique-inspired products are specially formulated and dermatologically-tested so that they care for your skin, whilst helping it to look beautiful at the same time. Thanks to a careful selection of key, hero ingredients, their products are suitable for all skin-types and even people who suffer with sensitive skin, rosacea and acne. Bella Vi even claim that their products are ideal to use after treatments such as laser therapy, microdermabrasion or facial peels. As I don't personally suffer from any major skin concerns, I have no personal experience of how acne-prone or very sensitive skin reacts to these products. As always, if you have to be careful when trying new products, I'd advise you to fully research the ingredients yourself and try to sample the makeup first where possible, before purchasing. 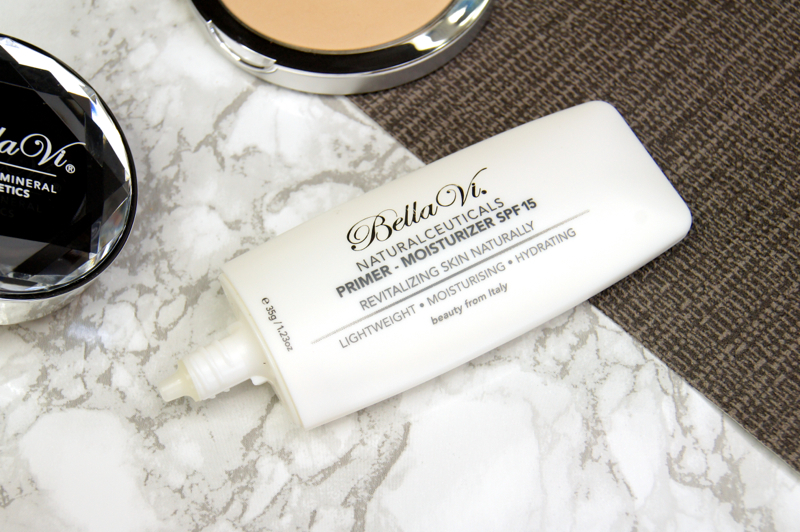 As it's the first step in any makeup routine, it makes sense to start with the Bella Vi Naturalceuticals Primer Moisturiser SPF 15*. This primer is aimed at hydrating and smoothing the skin and it can be used in place of your daily moisturiser. On a daily basis, I tend to skip primer, as my skin-type is on the dry side and makeup tends to cling on well throughout the day without it. But, I'm always happy to layer on an extra product that will help my skin to look more plumped and glowing. This primer is great for that, but it may not suit oilier skin types that need something to control grease and diminish the look of pores. I like to apply it with my fingers a few minutes after applying moisturiser, to really give my skin a dewy boost. Lightweight and silky smooth, this primer has quite a runny, liquid consistency that absorbs quickly. After use, skin is left velvety soft and smooth, allowing foundation to sit perfectly over the top. Whilst I wouldn't say it vastly improves the longevity of my base, it certainly prevents any powder products applied afterwards from looking cakey. With added SPF, it also helps to protect the skin from the sun, without having to use a separate sunscreen if you don't want to. Whilst I do really like the formula and enjoy using this primer when I have more time to get ready, it's not something I use daily. 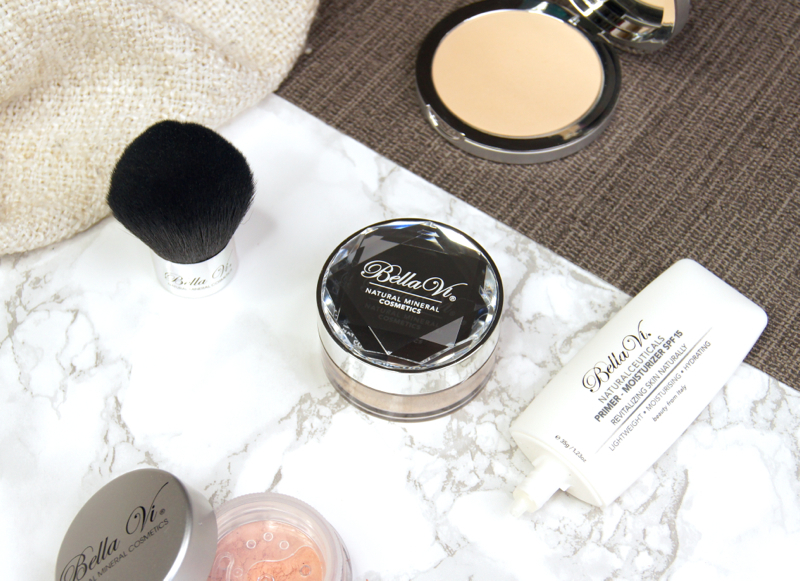 By far, my favourite discovery from Bella Vi Cosmetics is the Kabuki Synthetic Brush*. 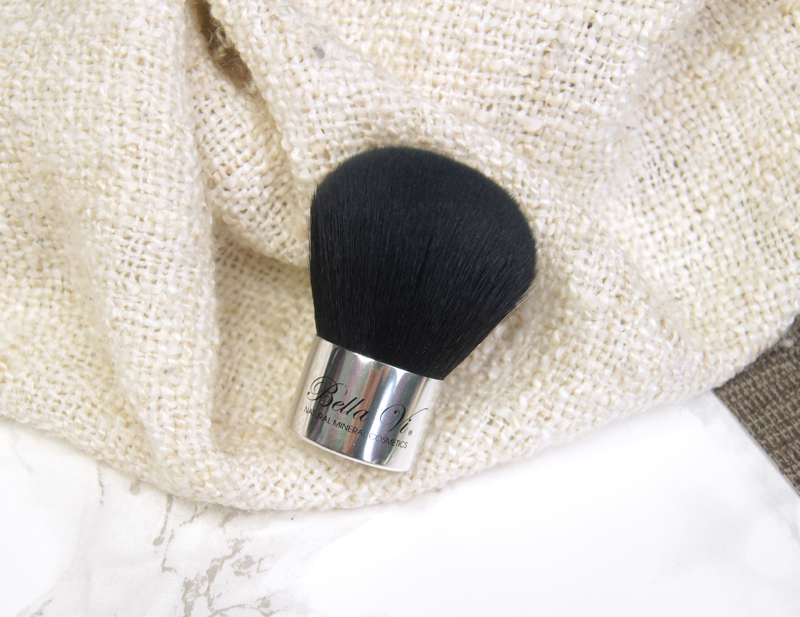 This densely-packed, super soft brush is the dream for applying powder foundation. I've even tried it with my regular, liquid formulas and it buffs them in to perfection, too. Feeling like silk, the synthetic hairs gently apply the foundation without scratching or feeling harsh. As it's fairly large, it allows you to get across the whole face quickly and, although it can't quite reach every contour of the face (mostly around the inner corner of the eyes), it makes light work of the rest. It also washes well, without shedding at all during cleansing or applying foundation, so far. This brush has now become my favourite for foundation application, overtaking even my beloved Real Techniques and Hourglass tools, which I never would have expected. 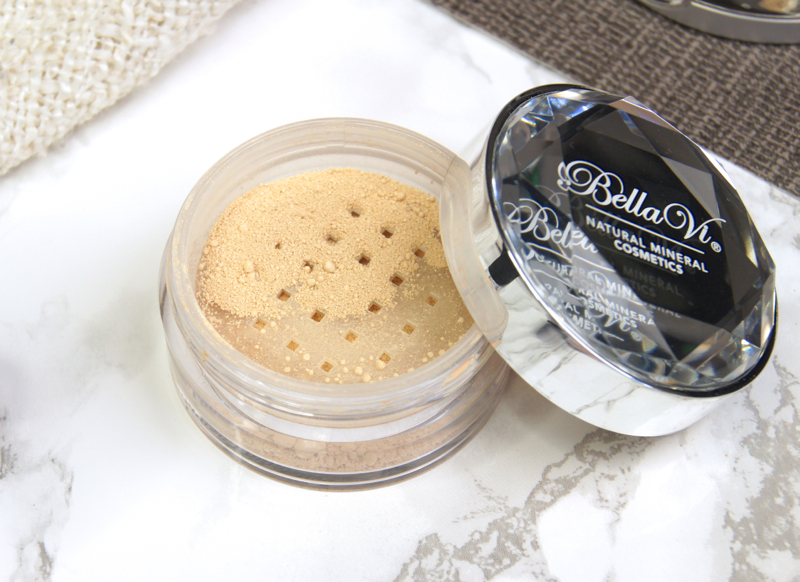 I'm a big fan of mineral, powder foundations and Bella Vi's Loose Pure Mineral Foundation* is now one of my top three. According to the brand, they've created precise, micron-sized powders to create a smooth, flawless finish with this base and, although I'm not a science buff, it definitely lives up to those impressive claims. As Bella Vi promise that they're products help to improve the skin during wear, this foundation is formulated not to clog pores and doesn't contain fragrance. Available in nine shades, they've catered well for fair to medium skin-tones, but unfortunately not at all for anyone with darker skin. This is the ideal base to use when you're in a rush, as it requires minimal effort and time to apply evenly. Blending in seconds with no patchiness, you don't even need to apply it in front of a mirror. It's that fool-proof. Immediately, with just one swipe of the kabuki brush, this foundation tones down all my redness and covers my blemishes with ease. So much so, that I don't always feel the need to use concealer around my nose, chin or cheeks, like usual. The finish is just lovely - soft-focus, natural-looking and perfected. 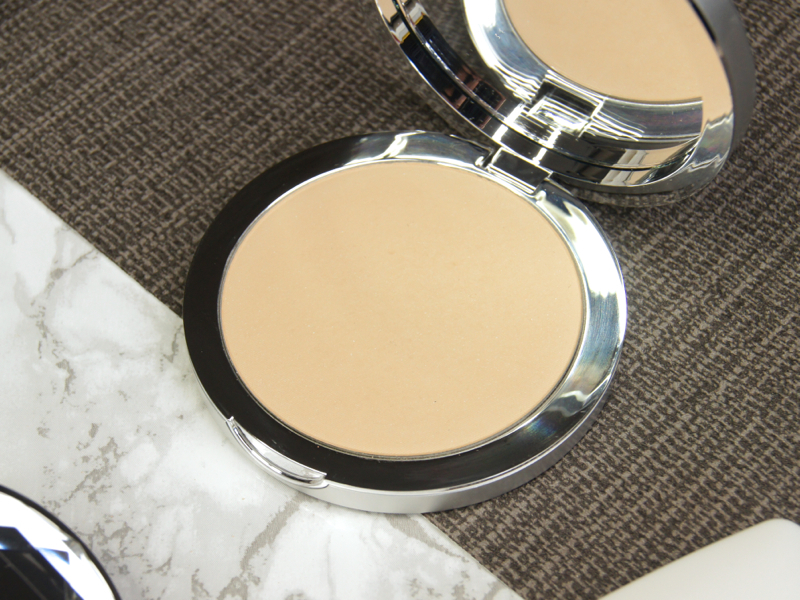 Although you might expect a loose, powder foundation to have a matte finish, this has more of a satin effect. It doesn't leave skin looking flat or emphasize the look of peach fuzz. Bella Vi describe the result as dewy, but I wouldn't strictly agree. Yes, it creates a gorgeous, radiant glow, but I don't think you can ever achieve a true, dewy look with a powder product. Some similar, mineral foundations can start to leave my skin looking dry and dehydrated after a few hours, but this one continues to look smooth all day. My natural oils do start to comes through across my T-zone after around five hours of wear, but they don't cause my makeup to fade, they just add a bit more of a glow to my complexion. If I ever feel a bit too shiny, in hot weather for example, then I'll just blot with pressed powder and the foundation isn't affected. The lightweight texture creates a bare-skin feel and leaves the face able to breath, rather than being suffocated by heavy coverage. 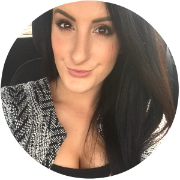 I haven't experienced any negative effects when wearing this foundation - no break-outs, no itchiness or redness. On the other hand, I haven't noticed any vast improvement in the look of my skin after wear, either. To be honest, though, I'd never rely on makeup to improve my skin anyway. Whilst I absolutely love the loose foundation, unfortunately it isn't the same story with the Pressed Foundation*. 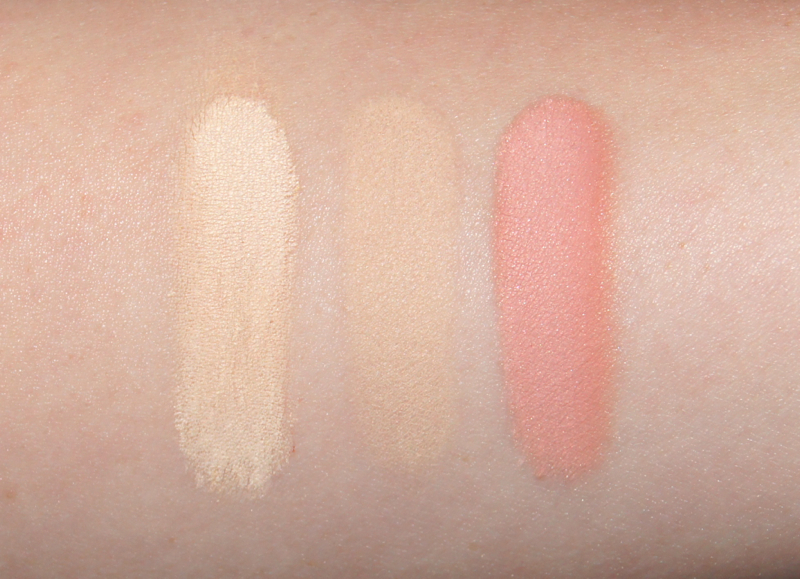 Offering a light to medium coverage and true, matte finish, this base is a lot different in how it looks on the skin. Used alone and buffed in with the same kabuki brush, I found this one to be far too drying and left my face looking dusty. Even used to set my under-eye concealer, it leaves the delicate skin looking cracked and ages me by about twenty years. The coverage is also so light that it struggles to cover even minor blemishes and redness, leaving my skin looking far worse than it does without any makeup at all. There is some hope for this pressed powder, though. When used for touch-ups on the go, it works well. As it's so matte in finish, it makes an effective blotting powder and that slight coverage helps to perfect any areas where makeup has faded throughout the day. Basically, this foundation formula is much better suited to those with oiler skin-types and just doesn't look good on my parched face. Of course, being mineral makeup, these products all contain titanium dioxide, which wreaks havoc in flash photography. To avoid looking like a ghost thanks to the flash-back, don't wear these products for a big event when you know you'll be photographed. The last product I've tried from Bella Vi, is their beautiful Blusher in Musk*. What annoys me about a lot of blush, is that it's often too pigmented for its own good. You know, the type that you only need to tap your brush into once to give you enough product for a not-so-subtle, clown effect? 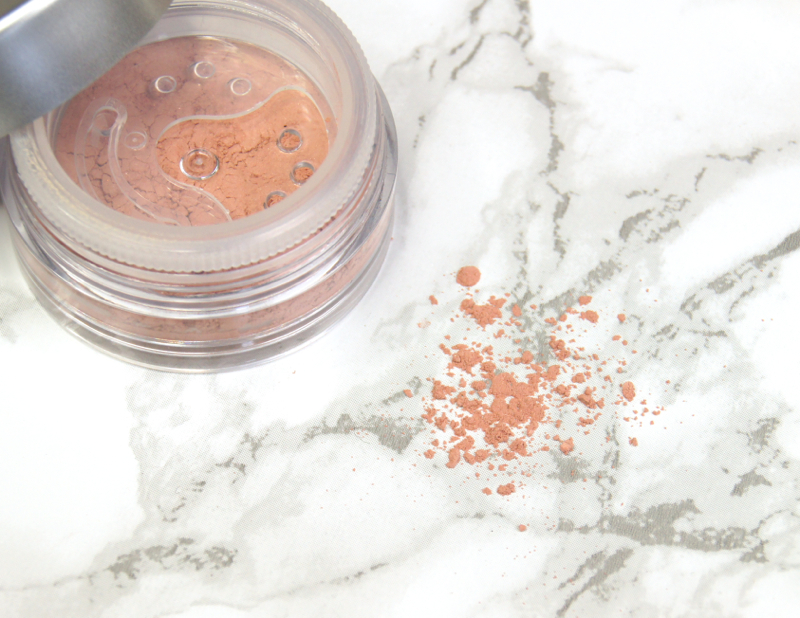 Fortunately, this blush is strong in colour, but not so intense that it leaves behind a streaky, blotchy finish. Thanks to the loose, powder formula and smooth, soft texture, the blush blends evenly and can be layered to reach your desired level of colour, without looking cakey. I like to apply this blush with the kabuki brush, as it takes seconds to do. Easy to correct, you can simply buff over the cheeks with your foundation brush to tone down the colour and soften the edges. Musk is a pinky-peach shade that is so easy to wear and instantly perks up the complexion. This is a shade that will suit everyone and will look great with any makeup look, as it's not too strong and just looks like a natural flush. Containing a small helping of shimmer, the blush has a luminous sheen to it. Especially if it's layered, the colour stays true and as strong as your initial application, all day long. As you only need a small amount of product per application, a pot will last you a lifetime, especially as the powder is sealed inside the jar with the hygienic lock. Do you like to use mineral makeup? Have you ever tried Bella Vi Costmetics?